No one is quite sure when the ancient Maya civilization first appeared, but archeologists believe that the first organized settlements were built in Central America starting around 2600 BC. Originating in what is now the Yucatan Peninsula of Mexico, the Maya began expanding. At the zenith of their civilization, the Maya controlled a vast network of trade routes and majestic stone cities down through Central America all the way to what is now the nation of El Salvador. And the heartland of that vast ancient Maya empire was Belize. Today, the country has more ancient ruins, monuments, sacred saves, and pyramids than anywhere else on the planet. Impressive cities like Caracol, Altun Ha, and Xunantunich are testaments to the Maya’s ingenuity and include large ball courts, majestic palaces, and elaborately carved stelae and friezes that depict the ancient rulers that once dominated the region. Known for having independently developed a complex writing system with hieroglyphs, the ancient Maya were experts at mathematics and astronomy. The Maya developed an incredibly accurate calendar that can calculate cycles of thousands of years. The Maya were also expert potters and artisans, crafting exquisite pieces from copper, obsidian, and jade. The Maya ruins that now dot the Belizean countrywide were once home to tens of thousands of people. Using complex systems of causeways and irrigation canals, the Maya were able to feed their vast population by farming crops such as corn and cacao, the principal ingredient of chocolate. For reasons still debated by archeologists, the ancient Maya civilization reached its peak around the year 900 AD. Whether due to climatic change, wars, or civil unrest, many of the larger cities were abandoned around this time, their cities slowly reclaimed by the jungle. 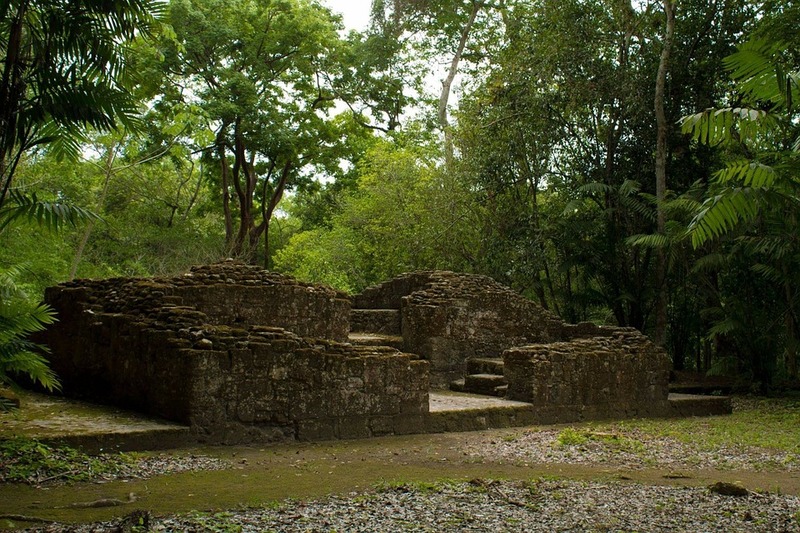 Indeed, many of the top Maya sites in Belize were only rediscovered within the past century, and archeologists believe that there are still lost cities still waiting to be discovered deep within the Belizean jungle. Today, the descendants of the Maya continue to preserve their rich cultural heritage, including making medicinal compounds from the plants in the rainforest and beautifully colored traditional clothing with complex geometrical designs. Maya ruins such as Xunantunich, Caracol, Altun Ha, Nim Li Punit and Lubantuum can be explored easily when you rent a car from Barefoot Rentals and Services. Barefoot can deliver vehicles anywhere in Belize, including the international airport and top hotels and lodges. To book a vehicle, contact Barefoot Rentals and Services today!